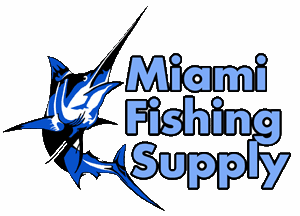 Dual Color Flap Jack Daisy Chain Teaser Miami Fishing Supply, complete selection of offshore fishing tackle, marine electronics and boat supplies. 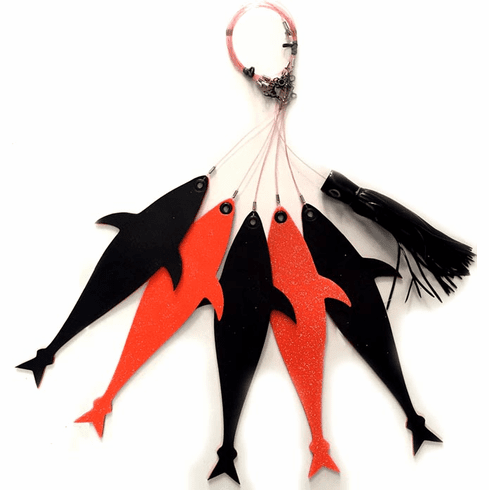 Marlin & sailfish daisy chain made with five dual color Flap Jack tunas and a chugger with a loop to add natural bait on the end. Professionaly rigged on 200Lb monofilament, heavy duty copper crimps and three way swivels.